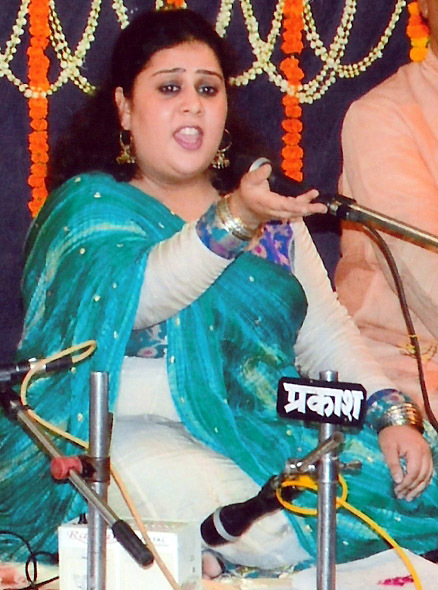 he young Sufi songstress of India from Jammu, Ragini Rainu, got the honour of presenting the first ever Sufi music recital at the country’s top most festival – the Sankat Mochan Sangeet Samaroh at Varanasi. The five day long over night festival is the country’s calendar music festival which has features the greats if Indian classical music for decades together. People from various parts of the country and abroad come and visit Varanasi around this music festival time to listen to some of the best musicians of India. This year the festival featured legends like Pt. Bhajan Sopori (Santoor), Pt. Jasraj, Pt. Ulhas Kashalkar, Pt. Rajan-Sajan Mishra (Vocal), Pt. Birju Maharaj (Dance), Pt. Vishwa Mohan Bhatt (Mohan Veena) and many others including prominent young musicians like Abhay Rustum Sopori (Santoor). Ragini thanked Mahant (Professor) Veer Bhadra Mishra ji and Dr. Vishwambhar Nath Mishra for inviting her and bestowing upon her this honour to present the first ever Sufi music recital at the great festival. 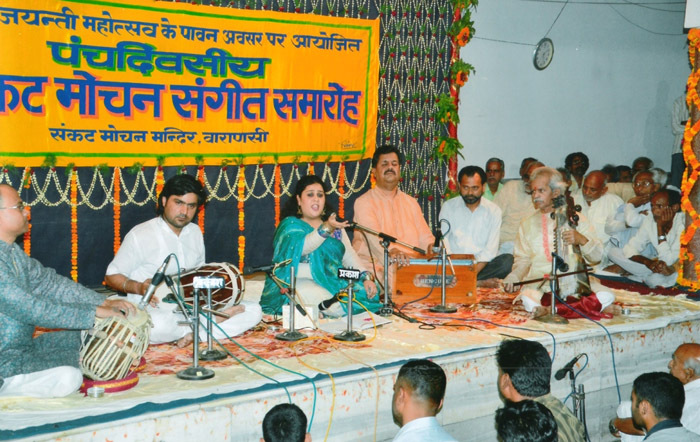 She commenced her recital with Baba Bulleshah’s “Ke Bedarda Sang Yari, Rovan Akhian”, Meera’s “Mero Maan Raam Hi Raam” and Kabir’s “Raas Gagan Gufa”. The audience didn’t let Ragini conclude her recital here and on everyone’s farmaish she concluded with the traditional composition of Amir Khusroo “Chap Tilak Sab Chini Re”. Ragini represents the Sufiana Gharana of Kashmir, and sings primarily the structured Sufi Ang and also the Ghazal & poetic Kafi genres. Unquestionably brilliant, she is equally at ease with the traditional genres as with the modern nuances. With her individualistic style and a rich repertoire of compositions from her Guru, she is the rightful heir to the legacy of Sufi music and is India's young Sufi Diva. Singing raw and robust, her exuberance and her inimitable voice brings to life the ecstatic expression of Sufism, each rendition drowning the audience in the richness of this tradition and sending it into raptures.